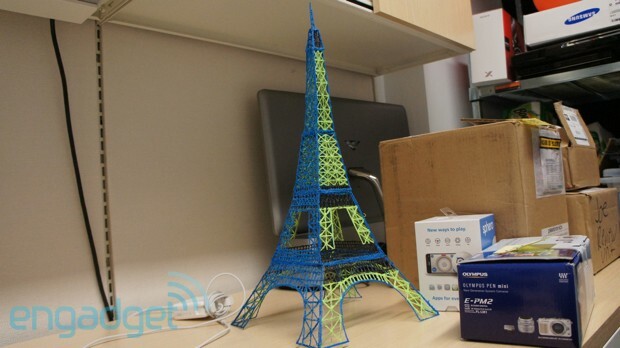 3Doodler ~ World's First 3D printing Pen !!! | Do You Know? 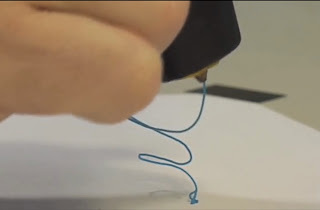 3Doodler ~ World's First 3D printing Pen !!! If 3D printers seem too expensive, or too technically complex, WobbleWorks' 3Doodler 3D printing pen looks like a budget- and user-friendly alternative. It also looks like a ton of fun. The idea behind the 3Doodler is that it takes the core functionality of a 3D printer, essentially an extruder and a heat source, and jams it into a pen-shaped handheld device. 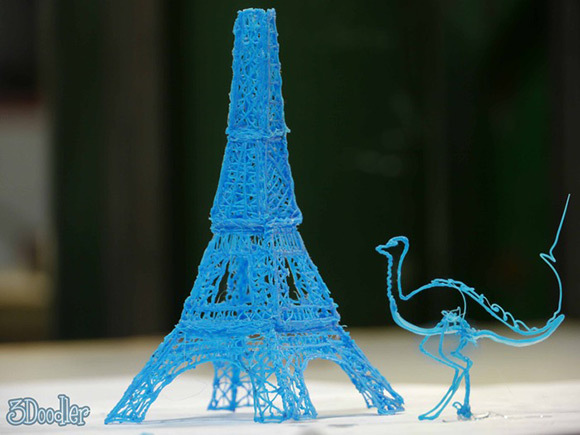 Loaded with either ABS or PLA plastic, common feedstock for traditional 3D printers, the 3Doodler "prints" plastic objects by letting you draw them in freehand in three-dimensional space. 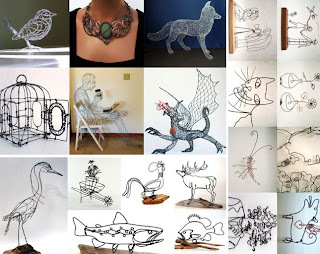 Among the various use cases for the 3Doodler, the Kickstarter page suggests you can use it to customize existing plastic objects, to make ad hoc repairs, and also with stencils to make more-precise drawings. A free-hand pen probably won't allow for engineer-class precision like you can get with a traditional 3D printer, but WobbleWorks envisions a vast community of users that swap downloadable stencils for use with the 3Doodler. Awesome Creativity with 3Doodler !!! The pen is quite a chubster at 24mm wide and 180mm long. It weighs less than 200g and uses a universal power supply. Each pen comes with 1kg of ABS plastic, which is enough for up to 1,240m of doodling. Sadly, the product is not suitable for kids -- only big kids -- as the metal nip can reach temperatures of up to 270C. 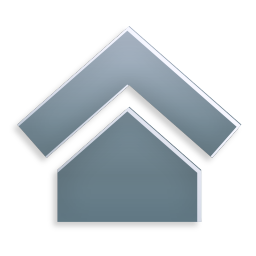 It uses ABS plastic, the device creates drawings in the air or on surfaces, requiring no software or computers.It works by extruding heated plastic, which quickly cools and solidifies into a strong stable structure. Objects can be created as flat forms and peeled off a piece of paper as freestyle three-dimensional shapes, or in separate parts, ready to be joined together using the pen.